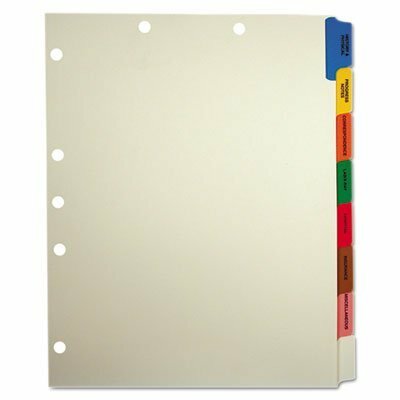 Medical Chart Divider Sets, Side Tab, 9 x 11, 40 Sets/Box, Sold as 40 Set - (5 Boxes) by Tabbies at Ledina. MPN: 5-DH8-4DG-8I9. Hurry! Limited time offer. Offer valid only while supplies last. Each eight-tab pre-collated set includes seven of the most popular medical index titles used today, plus one writable tab. Made of sturdy 90 lb. Each eight-tab pre-collated set includes seven of the most popular medical index titles used today, plus one writable tab. Made of sturdy 90 lb. stock. Tabs are reinforced with tear-proof colored Mylar. Tab titles include: Correspondence (orange), History & Physical (blue), Hospital (red), Insurance (brown), Lab/X-Ray (green), Miscellaneous (pink), Progress Notes (yellow) and white writable blank tab. 1/2"" tab extension. Tab Style: 8-Tab; Tab Color(s): Assorted; Index Divider Size: 9 x 11; Form Quantity: 40. Eight tab pre-collated medical chart index set with seven preprinted titles and one blank tab. Tabs are reinforced with tear-proof colored Mylar. Tab titles include: Correspondence (orange), History & Physical (blue), Hospital (red), Insurance (brown), Lab/X-Ray (green), Miscellaneous (pink), Progress Notes (yellow) and white writable blank tab. View More In File Folder Labels. If you have any questions about this product by Tabbies, contact us by completing and submitting the form below. If you are looking for a specif part number, please include it with your message.